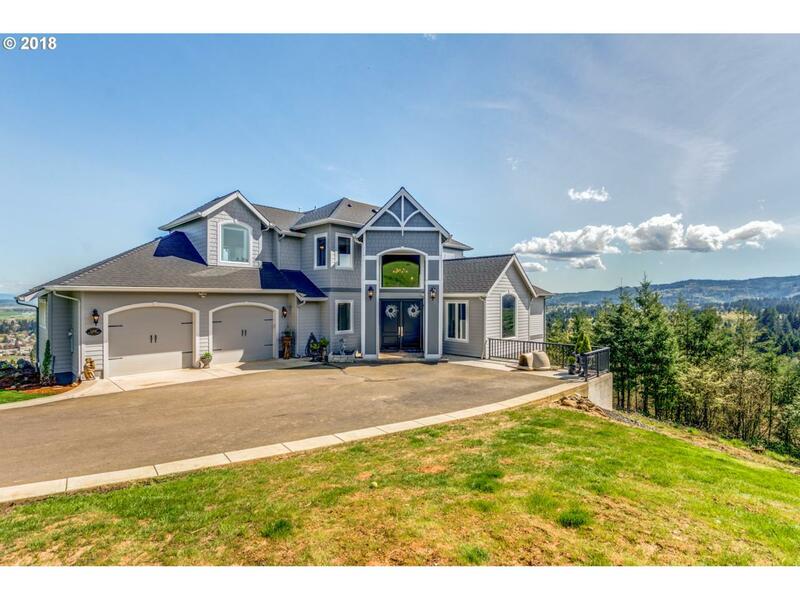 2016 Luxury Home on 2.24 Acre. Stunning view of 5 mountains, valley. Private w/ quick access to PDX. Street of Dreams Architect. Grand ceiling in living room, gourmet kitchen with dbl ovens, DeWils cabinets. Master Suite on main with dressing room. Vaulted office. Two bedroom suites up. Guest bed, theater, bar, family, & secret bonus room down. 1680 sq.ft. shop, finished 1088 sq.ft. above. Click Vtour for video, extra info & photos.